Hello friends! Who else loves freebies? I love free samples! I received a box of goodies from Influenster. 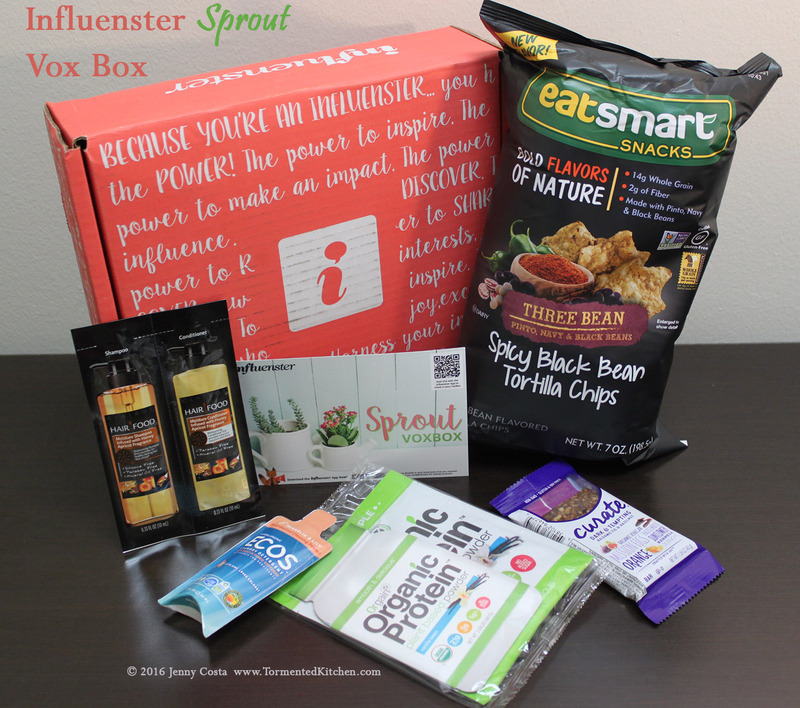 This is the Sprout Vox Box. So, let see what they put in here. 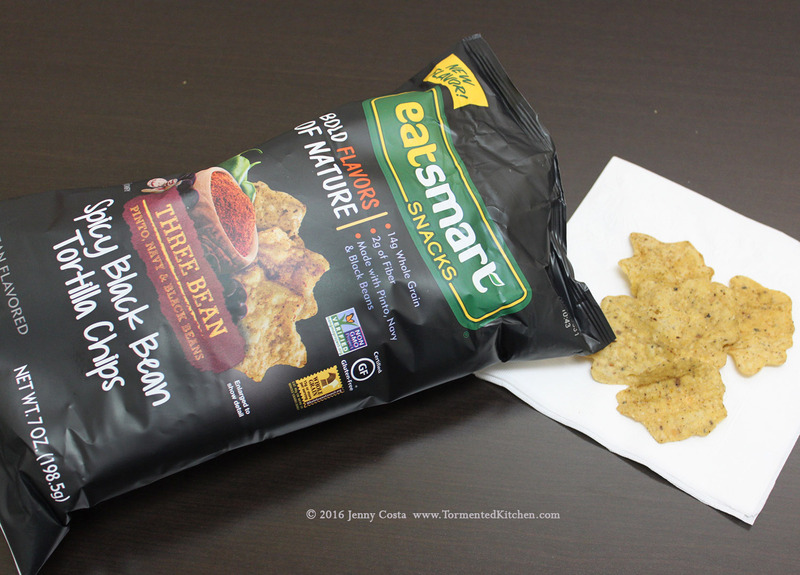 I really like the Spicy Black Bean Tortilla Chips by Eat Smart Snacks (which is a Snyder's of Hanover product). They taste like regular tortilla chips with a little spice. I would never know that there are any beans in these chips. They are really good plain, but tortilla chips are meant for dipping. Try hummus, salsa, or guacamole with these. I will definitely look for these at the store. There was a sample of Ecos laundry detergent in Magnolia and Lily fragrance. I've said this before on other detergent reviews, we usually don't buy scented detergent. I have sensitive skin, as do the kids. I've only found a few scented laundry products that don't drive us crazy from getting itchy. 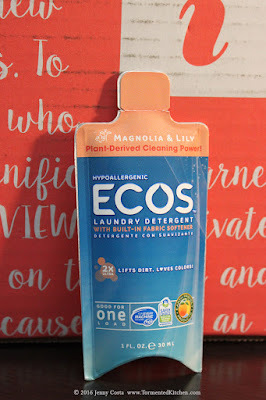 I like that this Ecos detergent is designed for sensitive skin, plus is smells good! It's good to find something new that works well, doesn't give us a rash, and smells nice. 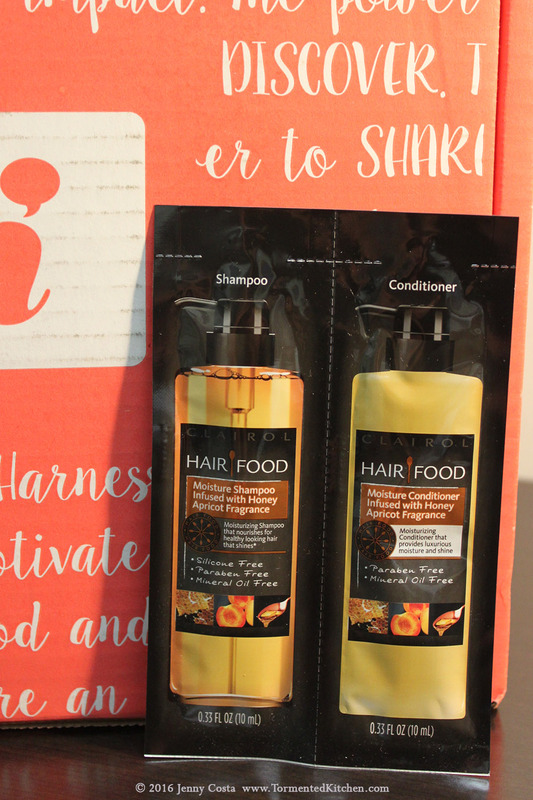 I received the Clairol Hair Food Moisture Shampoo and Moisture Conditioner, both are infused with honey and apricot fragrance. 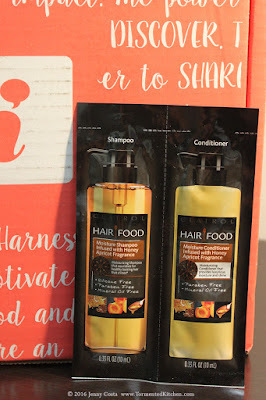 I've happily used Clairol products in the past and I was excited to try this out. Smells great! Feels good massaging it in and rinsing it out. So far, so good! However, the real test is how my hair looks the next day. We're off to a good start though. 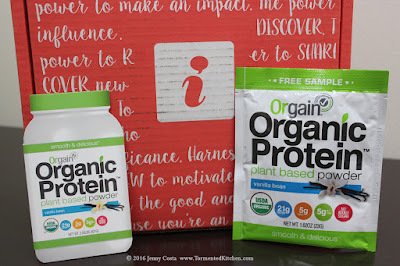 The last product to test was Orgain Organic Protein powder. The hubby started using protein powder a few years when he was working out a lot. He doesn't go to the gym like that anymore, but we still keep protein powder at home to supplement our diets, especially in the summer when we work outside a lot. I've had plenty of protein powder in the last 8 years, so I'm a pretty good judge of what is good and bad at this point. I received the Vanilla powder. I had to check the ingredients, and was happy to say this doesn't contain any of our allergens. I mixed the protein powder with about 6 ounces of water. It did mix up easily. Some brands are lumpy even after a lot of stirring and shaking, I didn't have that problem with Orgain. It smelled good, like vanilla. The taste is pretty much what you should expect with protein powder. It has a tiny bit of an herbal aftertaste, really subtle though. 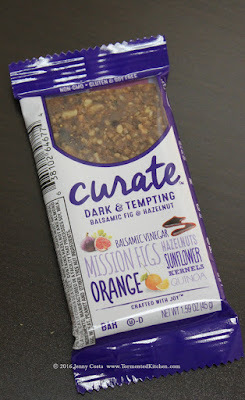 I expect that it's from the chia and hemp content. If I mixed this into a smoothie, it would be great. Also, the texture drinking it was smooth. This is a good discovery! Some lucky testers received Vichy skin care products to sample. I was not one of them. Maybe I'll get selected for the special test item next time. After reading some reviews about Vichy, I was really hoping to get to sample it. Well, that is all for now. Thanks for stopping by!